and we will tolerate neither. This is the truth we owe our dead. In few words, he expresses deep truth. Freedom and peace must walk hand-in-hand. We cannot be satisfied with a world where one is absent or removed for the sake of the other, for such a world destroys the meaning of both. Freedom absent peace is neither free nor peaceful. The two are true partners. Reflecting on his remarks, I was warmed by the words he had to share with me: it is comforting and important to know that this message is heard; that it is absorbed; that it internalized; that it is shared. So as I observed my own solemn moment while watching the moment of silence during the ceremony at the National War Memorial in Ottawa, I was struck by an odd realization: A silent tribute is not what we should want. We should raise up our voices, shouting to the world: “We have not forgotten! We shall not forget! We will tell these stories with all of our might. We will share them with our children, that they might tell them for time eternal!” In that way, we shall ensure a peaceful freedom, and a free peace. Of course, the moment of silent is an important symbolic measure. And it is almost always coupled with strong words of memory and memorial. But it cannot end there. Both silent reflection and active participation must go hand-in-hand, just like peace and freedom. Without memory, there can be neither continuity nor identity. Like Johnston and my grandfather, Rabbi Marmur himself recognizes the importance of embracing multiple values in pursuit of our goals. Moments of silent reflection are a part of our identity as Canadians when it comes to Remembrance Day, but these moments must also be matched by action to ensure continuity. It is our commitment to memory that plays a key role in uniting these values. To say “we shall remember,” or “never again,” means not only to reflect, but also to engage and look forwards. It is an impassioned charge we say to ourselves, so that we may involve ourselves in a national project. Without a national memory, we risk forgetting ourselves. On this day, and always, I must also reflect on how proud beyond words I am for my Zaidy and his exemplary model of service to Canada. 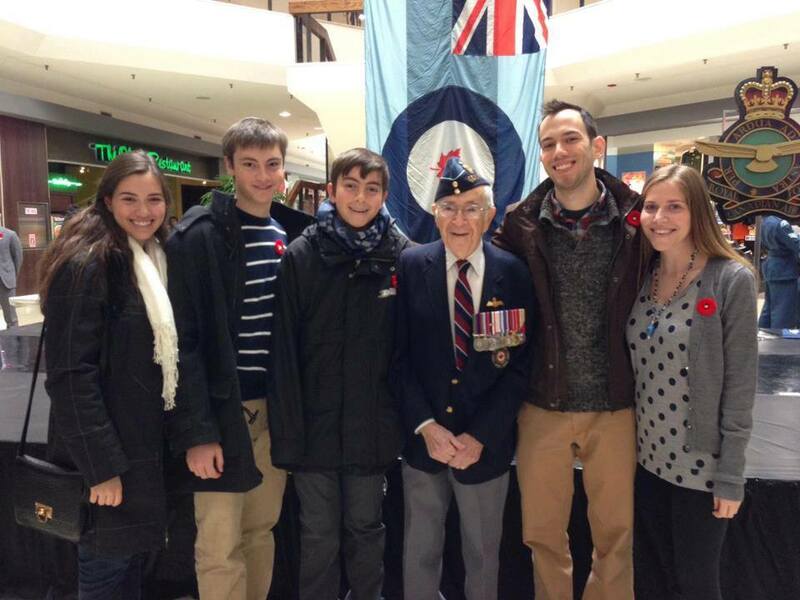 His commitment to the Royal Canadian Air Force and to the Jewish War Veterans of Canada teaches what it means to place oneself in service of that which is greater than us all – our people and our values. He is a model of living a life dedicated fully to such service, and my family is so lucky to have him as our living patriarch. On this, the most important of our national holidays, may we be moved to pair our silent reflection with our soaring voices, that we might have both peace and freedom, both continuity and identity.